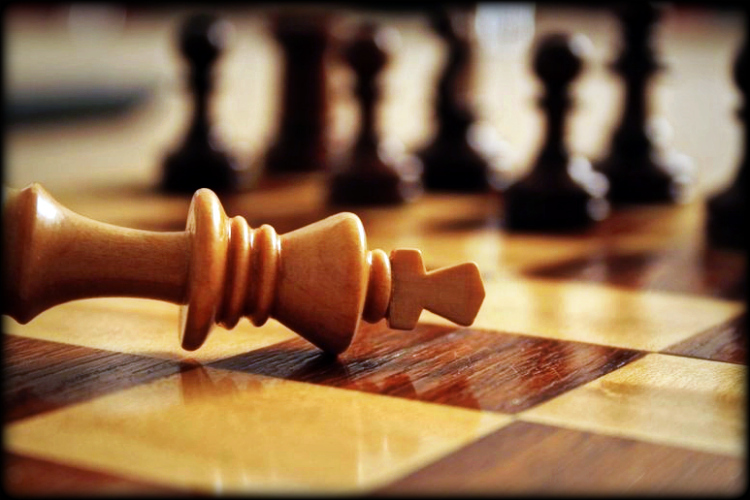 Summary: Our small wars in Iraq and Afghanistan end, but we fear to learn from these failures. Such cowardice didn’t make America great, but might bring it down. It need not be like this, since the truth is out there. Today we have an article that can help us begin the process of understanding what we did wrong in Afghanistan, and what to do next with this knowledge. America, both leaders and people, struggle to forget our wars in Iraq and Afghanistan. 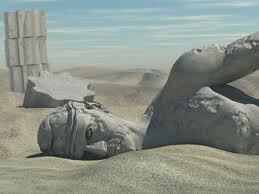 The dead lie quietly with those of our many other wars. Our politics continue their mad cacophony — Benghazi Climate Apocalypse Benghazi! The false story of these wars have become a portrait of ourselves that, like Dorian Gray’s, we damage at risk of death — the death of our illusions of competence and exceptionalism. Learning is the enemy of such people, and the path back to security and prosperity. A number of writers have preceded me in quoting Shelley’s Ozymandias to evoke the huge US and NATO bases planted since 2001 in Afghanistan. The comparison is irresistible, but not necessarily apt. Even if only the head and legs were left, bits of Ozymandias’s statue had still presumably survived for 3,000 years or so, which is a pretty good record as these things go. Few US or NATO officials, by contrast, seem to be planning seriously much beyond the next 3 years. In Kabul, the changes wrought by the West’s 12-year Afghan adventure have a certain solidity, at least to the point where the banks and office buildings would make for reasonably imposing and long-lasting ruins. Even some more intelligent members of the Taliban seem to recognize that the Afghan capital, a city of some five million people, is no longer the rubble-filled and shrunken city that they ruled in 2001; that the modern educated classes have grown to the point where they cannot be subjected to the moral code of a madrassa in a Pashtun mountain village; and that if a future Afghan government including the Taliban wants the help of these people — those who do not depart following the West’s withdrawal — in ruling and developing Afghanistan, it will have to grant them some freedom. In the southern Pashtun province of Helmand, however, the atmosphere is very different. The presence of the Taliban is much more palpable both from conversations and the watchfulness of the Western forces. The veil of progress brought by the West is also a great deal thinner. During a recent trip with NATO officials, I was kept within the fortified perimeters of the US and British forces and the Afghan government centers — an indication of the current level of concern about the Taliban. Visiting US and NATO bases there, I found that the images that came to mind were not Ozymandian images of long-fallen imperial grandeur, but rather those of science fiction: of Ray Bradbury’s human and Martian species meeting under an enormous, indifferent sky amidst the vast and utterly strange landscape of Mars. In an even gloomier mood, I thought of the Strugatsky brothers’ dystopian novel Roadside Picnic, on which Tarkovsky’s film Stalker was based. The premise is that aliens dropped by briefly on earth for some reason of their own, leaving behind a weirdly transformed landscape littered with discarded alien objects. In fact, seen from the air at night, Helmand’s huge Western military installations — Camp Leatherneck, the US Marine base, and the adjacent Camp Bastion, the main British base — look like a giant spaceship, a great blob of blazing lights amid a dark sea of desert. At the height of the Western occupation, the camps used more electricity than the rest of the province put together. Every drop of fuel for the generators had to be shipped in through Pakistan, along with every drop of mineral water and every bite of food consumed by the troops. And if you want to move from science fiction to Alice in Wonderland, ask yourself this: how has it been possible to bring all that stuff in by road through areas of Pakistan controlled largely by the Pakistani Taliban, allied to the Afghan Taliban — areas from which Pakistani Taliban have launched innumerable attacks on Pakistani forces? Why have there been so few attacks, and those few (to judge by circumstantial evidence) only when the Pakistani military wants to send a message to Washington? The answer appears to be that the Taliban tax these NATO convoys as they tax all other trade in the region: Obtaining tax revenues from mineral water, fruit juice, hamburgers, and other NATO necessities that do them no harm at all is, it turns out, far more advantageous than interrupting our supply routes. In other words, all these years NATO has actually been subsidizing the Taliban’s war effort. In the winter of 1989 I traveled in the countryside of neighboring Kandahar Province as a British journalist with the Western-backed Afghan Mujahedin — made up of the same Pashtun farmers whose sons or grandsons are now presumably fighting for the Taliban. Traveling by pickup truck with the Afghan guerrillas, I was struck by the amazingly sharp and vivid transition between the brown and grey dust and sand of the desert and the bright green of the much smaller watered zones. It left me with an enduring impression of the sheer size and emptiness of southern Afghanistan, and the inability of outside powers to control movement through it — at least, without forces that are vastly larger than the Soviets or the West have been willing to deploy. You are leaving too soon. Can’t you see that we have Iran on one side and Pakistan on the other, both of them enemies. If you don’t go on helping us, we are finished. The officials we spoke to were skeptical about the possibility of a settlement with the Taliban, unless the US itself were to take the lead. A few weeks after our visit to Sangin, however, the local Afghan National Army units reached an agreement with the Taliban to provide joint security in the district. The deal has been bitterly criticized by some Western observers and by some leaders in Kabul, but it seems to have the solid support of most of the local population. In fact, it is highly reminiscent of similar local agreements between government forces and Mujahedin I witnessed in 1988 and 1989: deals that, by sparing local areas from continued fighting, allowed guerrillas to transfer forces to other battlefields and permitted the peaceful local cultivation and division of the opium poppy crop. After the Soviet withdrawal at least, such deals also prepared the way for the eventual negotiated surrender of the government forces and their return to their homes. Of course, just as in the late 1980s, such deals threaten both the central government’s and the Talban high command’s control over their local commanders. Rather than the Taliban sweeping Vietnam-style over the ramparts and destroying the regime after US forces withdrawal, what we may well see in southern Afghanistan for a number of years to come is a patchwork of local truces in some areas and battles in others, depending largely on local tribal rivalries, and agreement (or lack of it) on the division of the heroin trade. As after 1989, however, this situation is unlikely to be stable, for such local compromises are deeply vulnerable to pressures from powerful outside forces, in Afghanistan itself and in the region. With this bleak prospect, it would be tempting to write off most of the years of Western effort in these parts as hopeless and foredoomed. 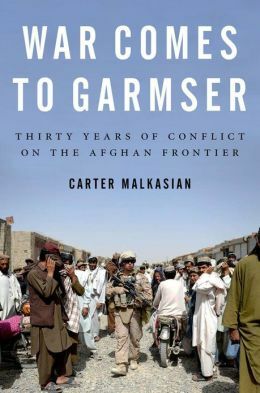 However, an important book published in 2013, Carter Malkasian’s War Comes to Garmser: Thirty Years of Conflict on the Afghan Frontier, tells a more positive story about the US “surge” after 2009 — and for that reason, paradoxically, is still more depressing in retrospect. Malkasian was a political officer for the State Department who spent 2 years working with the US Marines in Helmand. 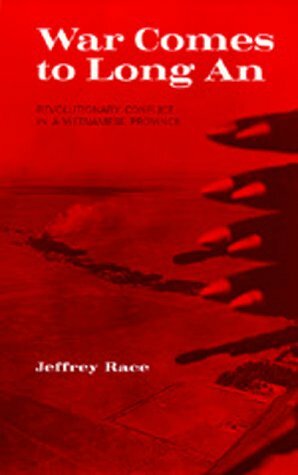 His book, which I read during my visit to the province this fall, is loosely modeled on a classic of Vietnam War analysis, War Comes to Long An by Jeffrey Race, who likewise served as a US adviser there. War Comes to Garmser is far more than a vivid account of the US campaign in one district of Afghanistan. It is also a brilliant analysis of that district’s history, economy, and anthropology, with lessons that stretch far beyond Afghanistan. Malkasian brings out the fact that, after the initial debacle of the dreadfully-planned British intervention in Helmand starting in 2006, the US and British military effort there was not the exercise in “plowing the sea” that has sometimes been portrayed. To the contrary, during the first two years of the “surge,” the Taliban were in fact driven back a long way, their attacks greatly diminished, and the extent of their control even in their former heartlands significantly reduced. Losses to US and British forces were severe, but the campaign did achieve its immediate objectives. These local victories, however, were only intended to buy time and space for the development of the Afghan state and the search for a “political settlement.” This was in itself an entirely sensible strategy on the part of the Obama administration. The problem is that the time made available by Washington for any lasting development of the Afghan state was grotesquely short, and a political settlement was neither defined nor pursued with any consistency — even at moments when it might have succeeded. Of course, much of the blame resides with the administration of George W. Bush, who was in office for more than half the Western presence in Afghanistan. Malkasian brings out the truly shocking slowness and carelessness of Bush administration efforts to build the Afghan National Army, let alone the Afghan state — projects that were above all compromised by the monstrous distraction of the unnecessary Iraq War. As the British staff of the Provincial Reconstruction team in Helmand told us, at the end of the Bush years in 2008 there was still no policy at all for governance in Afghanistan below the national level. Yet the Obama administration cannot escape blame of its own. Not only did it set a 2014 deadline for the withdrawal of US combat troops — a date that was obviously far too soon for the effects of the surge to be consolidated and the project of building up the Afghan state to be feasible. But Obama’s failure to seek talks with the Afghan Taliban during his first years in office, when US and allied forces were driving the Taliban back, was an error that should be apparent from a freshman’s course in negotiating strategy. Overtures that might have received a positive Taliban response in 2010, when the Taliban was being driven back and suffering heavy casualties, naturally have received a far cooler response in 2013 and early 2014, with US forces already beginning to withdraw. Malkasian also makes clear that the Western gains in Helmand may be only temporary. The Taliban retain strong support among many local tribes and groups, and even those that currently support the Kabul government are deeply divided. Malkasian notes that local compromises have repeatedly broken down over the past thirty years here, except when the Kabul-based state has been powerful enough to force local rivals to co-operate. It is highly doubtful that the Karzai government is in position to do that today; and still more doubtful that its successor will be able to once US forces are gone. The last time a governor of Helmand was replaced by Karzai, he left Lashkar Gah by helicopter, taking the entire senior administrative staff of the province with him (something about which the governor of Sangin district complained bitterly). Disgraceful of course, but I’m not sure I really blame them. Yet the West must still pursue peace with the Taliban. For the alternative to a settlement is a civil war with no foreseeable end, fueled not only by Afghan hatreds but by aid from Pakistan, India, Russia, and Iran to their local proxies. As after 1989, these outside interests and rivalries will make it even more difficult for the Afghans to work out their differences, and will, in all likelihood, continually disrupt any local agreements in areas like Helmand. National political and military leaders in Pakistan and India do not appear to be seeking such a proxy war in Afghanistan, but Delhi and Islamabad both seem trapped on a path that is all too likely to lead to one. This is the second of two posts by Anatol Lieven about the future of Afghanistan. Previously, he examined Afghan President Hamid Karzai’s standoff with the West. Anatol Lieven is a professor in the War Studies Department of King’s College London and a senior fellow of the New America Foundation in Washington DC. He was formerly a journalist for The Times (London) in Pakistan and Afghanistan. For more information see his Wikipedia entry, which has lists of his many articles and books. Next Post The state of the American middle class: are we thriving or sinking? Every time I read about our involvement in Afghanistan, I recall my standard rant about the place. Yes, I know I’ve posted it here before, but it bears repeating. “I used to play a game called Pax Brittanica, which simulated world conditions from 1880-1916. In that game, Afghanistan was a region that was 1) most likely to revolt, 2) a real pain to conquer, and 3) cost more to govern than could ever be extracted from it. Furthermore, should anyone ever be dumb enough to actually invade it, the mere act of occupying the country would be enough to give at least one major power, if not two, cause to declare war. In the games I played, no one ever messed with the place. We have one post on the FM website about computer games: Lessons from the New Eden galaxy about reforming America, 9 July 2013. Thanks for that link, I’ll check it out. That written, Pax Brittanica is a tabletop game, not a computer game. I just came back from reading that entry. You held up EVE Online as an example of where to find strategic thinkers? Yes, but you may as well talk to John Robb at Global Guerillas/HomeFree America about finding strategic thinkers in the Mexican drug gangs. EVE Online has a terrible reputation for ruthlessness among MMO players. Come to think about it, you should talk to John Robb, period. He’s engaged in a similar project to yours and both of you (plural you in FM’s case) might benefit from cross-pollination of ideas. Because the livelihood and wealth and career of the person playing the game are not on the line, whereas in the real world, giving up and pulling the U.S. military out of Afghanistan without a decisive victory means: the Pentagon loses money, army and airforce and marine corps and navy officers lose a chance at promotions, military contractors lose many hundreds of billions of dollars, congressmen and senators lose a chance to show they’re “tough on terorrists” to boost their chances at re-election, and White House officials lose glamour and get negative publicity. Thomas More, you have a point!